SLIM LOCK – TAKAHA KIKO CO., LTD. 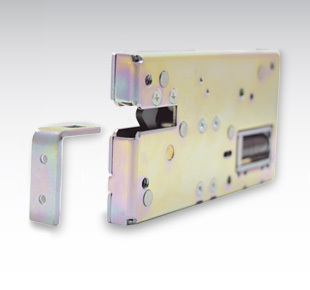 Slim lock is the electric solenoid lock, thin and tough. The thickness is only 10 mm. 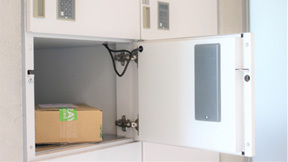 Ideal for delivery parcel locker. This product is a compact design, so does not occupy space. The door is locked when it is closed. 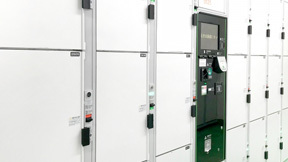 When solenoid is energized, the door is unlocked and pushed out. Sturdy construction prevents theft by destruction. For control, RFID, fingerprint, and numeric keypad are available. general merchandise locker, grocery locker, office locker and cabinet. — This electric locks are opperated by DC 6 volt, 12 volt and 24 volt. — In case of power failure, manual unlocking can be used. — Thickness of the cam part is 3.2mm enough safety against breaking.